The sixth Dash for Cash drawing will be held at 11:06AM Tuesday, February 12th at Rugby's Hardware Hank. The drawing will be live broadcast at 11:06AM on KZZJ 1450AM, 92.1FM, and KKWZ 95.3FM. Winning ticket numbers will be available after the drawing on our website RugbyNorthDakota.com, Facebook, Twitter, Instagram, and in the following Saturday's Pierce Co Tribune. 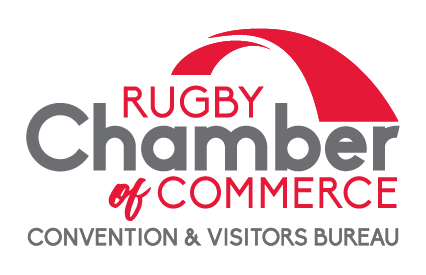 Winners will exchange the winning ticket at the Rugby Chamber office, located inside Prairie Village Museum (102 Hwy 2 SE), and pick up their Rugby Chamber Cash at Hardware Hank! ​11:06AM Live broadcast on KZZJ 1450AM - 92.1FM and KKWZ 95.3FM.